Background/Info: Inspired by some of the most famous synth-pop formations (cf. Depeche Mode) we here welcome a new and promising Russian formation set up by the famous and prolific Russian producer Nick Klimenko (mainly known from the Chronos project). The line-up has been completed with two members while a few guest musicians joined in to accomplish the debut work of Sparky4. Content: The weird front cover didn’t really inspired me, but from the first notes of the opening song I quickly got in the grip of Sparky4. This band deals with a real creative format of electro-pop music. They’re injecting rather unexpected elements like bombastic arrangements, psychedelic guitar passages and artistic cello, into their work. The main basis of the album remains pure electro-pop minded. It’s a fresh and alluring composition carried by the alluring vocals of female singer Maria Karimova. She brings elevating and heavenly grace to the work. A few songs feature male vocals, but they can’t convince a similar way. 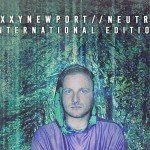 The fusion of electro-pop and cello is absolutely genius. It injects a warm and graceful aspect to this album. On the other side Sparky4 also experiments with a kind of nu-disco approach (cf. “Poly Baby”), which is not the most convincing element of the work although it reveals the eclectic format of the work. Another noticeable track is the cover version of Depeche Mode (cf. “Enjoy The Silence”), which is a cool ode to their ‘masters’. Nick Klimenko made 3 remixes, which are a bit more into danceable vibes and technoid arrangements, but I personally prefer the original versions. + + + : This formation brings a fresh and original touch to familiar electro-pop standards. The use of cello and their global wider spectrum of influences is absolutely great. “Chains” is a brilliant composition. 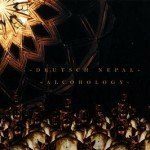 – – – : The somewhat disco-like artwork resulting in a poorly artistic front cover is the main minus point of this work. 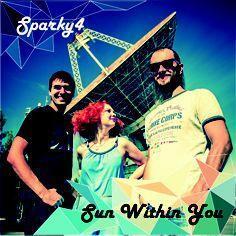 Conclusion: Sparky4 is a band to keep an eye on. This album really adds a bonus to the usual electro-pop music. It’s an opus accomplished with grace and a great artistic feeling. Best songs: “Chains”, “One”, “Life Goodizer”, “Chains – Nick Klimenko Remix”.